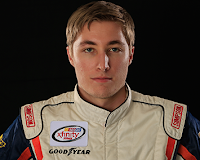 Garrett’s Smithley will compete in his first MENCS Race for StarCom Racing in the FireKeepers Casino 400 on Sunday, June 10 at Michigan International Speedway. Garrett will pilot SCR’s 99 Victory Lane Chevy. Garrett’s racing career has come full circle, due in large part to the opportunities given by SCR Team manager, Derrike Cope. Garrett and Derrike have a relationship that started out back in 2013 while Garrett was a driver in Cope’s Driver Development Program. SCR and Garrett are proud to partner with Victory Lane Quick Oil Change, headquartered in Ann Arbor Michigan, as the primary sponsor of the No. 99 Chevrolet. Victory Lane offers quick, full-service oil changes, as well as a full menu of other vehicle services. In addition, Victory Lane also offers Fleet Service, and is currently looking to expand with new franchise owners. For information about Victory Lane Quick Oil Change, www.victorylane.net. “We are excited for a new partnership. It has been a pleasure watching Garrett develop over the past 5 years. SCR, myself and my wife Elyshia are delighted to welcome him back for his Cup debut and hopefully a solid run in the 99,” said Team Manager Derrike Cope. In addition, SCR & Garrett have partnered with associate sponsors Showcase Auto Sales and JAS Expedited Trucking LLC. Located in Chesaning, MI, Showcase Auto Sales is one of Michigan’s largest used car dealerships. For more information or to shop Showcase’s current inventory, visit www.showcaseautosalesllc.com. JAS Expedited Trucking LLC based out Imlay City, Michigan specializes in expedited shipping, while proudly guaranteeing on time delivery. Expediting is a special niche in the transportation industry dedicated to time sensitive freight. JAS celebrates 15 years of business in 2018. The company is currently looking to hire drivers. For more information about JAS Expedited Trucking, including current truck driving opportunities, please visit their website at www.JASNW.com.